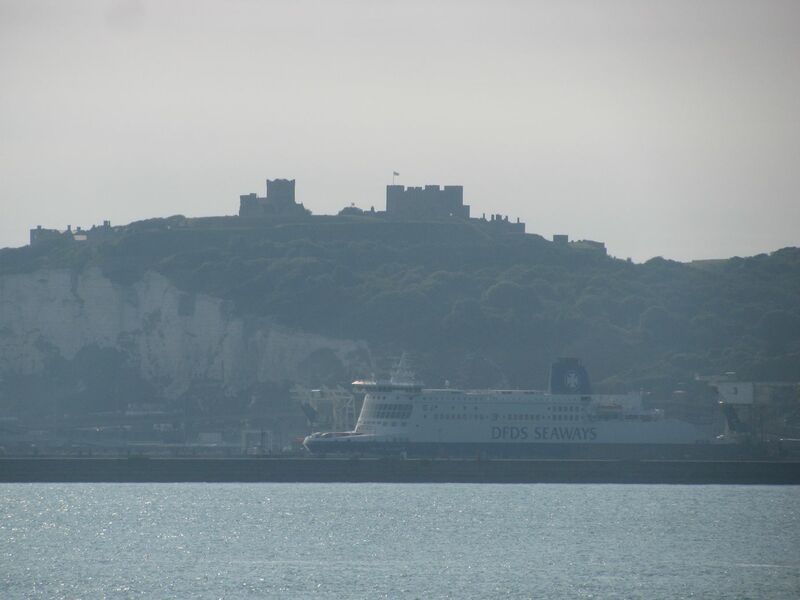 Record freight volumes at Dover over the summer but the number of tourists drops by more than ten percent. Meanwhile, Eurotunnel was ‘almost stable’. Also, to mark National Lorry Week, a quick look at Renault’s transcontinental Range T. A surprise leap in profits at Volvo Trucks. Hungary in trouble over truck-toll On Board Unit, and Luxembourg, Portugal and the Czech Republic over EU undertakings register. Record freight at Dover but tourists down; Eurotunnel ‘almost stable’. With unrestrained glee, Eurotunnel boss Jacques Gounon told Bloomberg TV last week that Port of Dover’s traffic fell by 10.5% between July and September this year. The claim was repeated in a summary of the Channel Tunnel operator’s latest results published on Thursday. However, Port of Dover tells us that the fall relates solely to the number of cars, not total traffic, and is the result of two big ships coming off the route following the closure of MyFerryLink. Since then, it says, the remaining ferry operators have created more capacity with P&O reporting a growth in freight and passenger numbers. DFDS will deploy one of the former MyFerryLink ships on the Dover-Calais route in January. Last week Port of Dover reported ‘phenomenal’ freight volumes recently, up 6.4% over the past twelve months. In early October, P&O said the period July-September was its best quarter for freight since 2003. For August, P&O also said it carried ‘the highest monthly number of people across the Channel since August 2003’. Meanwhile, Eurotunnel’s own revenues increased by 3% in the third quarter compared to the same period in 2014, despite the number of rail freight trains declining by a third. Passenger and truck shuttle traffic was down one percent each, described as ‘almost stable’ by the firm. The number of coaches fell by 9%. Over the first nine months of the year the number of trucks using the Channel Tunnel is up by 5% (compared to market growth of 5.2%), cars are up 2% (market down 1.5%) while the number of coaches has fallen by 6%. To mark the Road Haulage Association’s National Lorry Week – which draws attention to an acute driver shortage in the UK thanks to the £3000+ cost of obtaining a licence – a look at the heavy hitting transcontinental trucks currently in service, starting with the Renault Trucks Range T. Successor to the iconic Magnum, and winner of the International Truck of the Year 2015, the T shares parts with sister brand Volvo Trucks though the its biggest engine – a 12.8 litre straight six – tops out at a ‘mere’ 520bhp, allied to a 12 speed automated ‘Optidriver’ gearbox as standard. The fuel tank can be as big as 1475 litres (324 gallons). For all that, drivers can expected just over 10mpg. Interestingly, truck drivers do not need an enhanced licence to drive on the Continent. 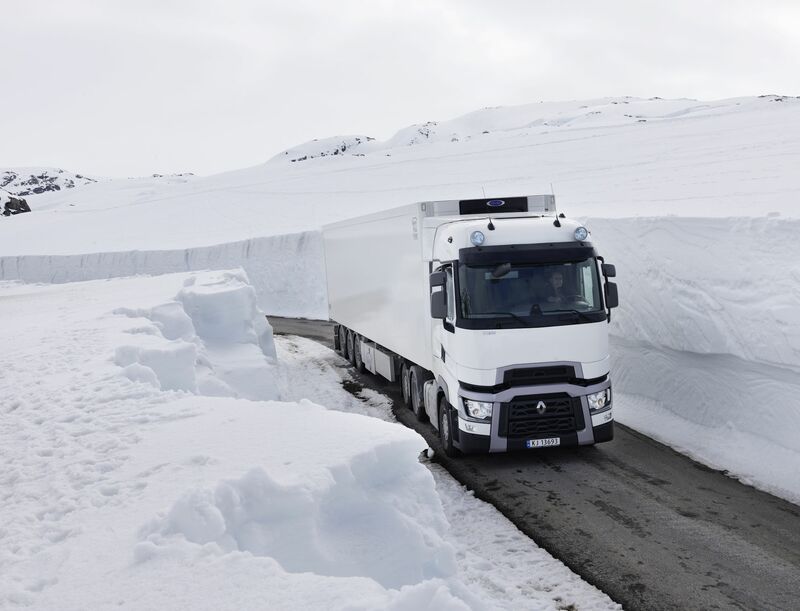 Photo, Norway, Renault Trucks. roundup: VOLVO TRUCKS. Profits unexpectedly jumped 75% over the past quarter to €545m reports The Local Sweden. Analysts had been expecting around two thirds of that. Sales jumped 9%, particularly in Europe (the latest ACEA figures show the market for heavy vehicles in Europe grew by 12% in the first nine months of the year). The news comes a few days after new CEO Martin Lundstedt, formerly of VW-owned Scania, took control of the company. HUNGARY is in trouble with the EU over the On-Board Unit (OBU) used to pay truck tolls. According to the October Infringements Package, ‘Hungary failed to put in place the necessary measures for the effective establishment of European Electronic Toll Service (EETS) providers’. These rules govern the inter-operability of OBUs in member states which have electronic tolling. Hungary has two months to comply or face the Court of Justice of the EU. For more info on Hungary truck tolls see HU-GO.hu. Meanwhile, LUXEMBOURG, PORTUGAL and the CZECH REPUBLIC are also being taken to task for ‘not having established national electronic registers of road transport undertakings and/or for not having connected them with the national electronic registers of the other EU Member States,’ says a statement from the European Commission. This case has already reach the Court of Justice stage.